[Update September 2, 2016] Once again we received a response we have hoped for from the City of Irvine. Mayor Steven S. Choi immediately communicated his concerns to the Mayor of Nowon-gu and requested that he do everything in his power to address the animal cruelty in their dog meat industry. Click HERE to read more and send thank you email to Mayor and the City Council of Irvine. Seoul Nowon District became Friendship city with Irvine in 2008. Universities, culture, art, high-end shops, and fashionable streets – all can be found within Nowon District in the ‘City of Education Center and Green Welfare’; regrettably, so can the so-called ‘health-food centers’, places that brutally slaughter dogs and cats, to be served up as food and drinks. 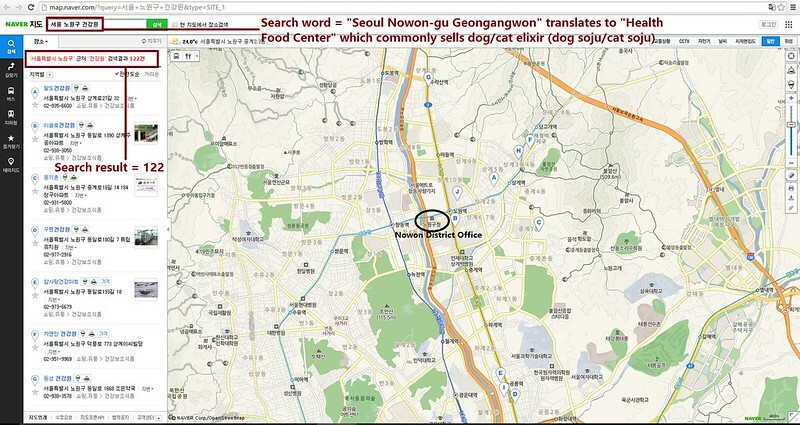 A Search Engine reveals the sickening scale of Seoul Nowon District’s dog meat demand. The searches resulted in: 122 Health Food Centers; and 51 restaurants in and around the city of Seoul Nowon District alone. Even if half of these ‘Health’ Food Centers and restaurants serve dog and cat ‘ingredients’ in one form or another, just imagine how many dog/cat slaughterhouses must be present in and around Seoul Nowon District in order to supply all of these outlets. 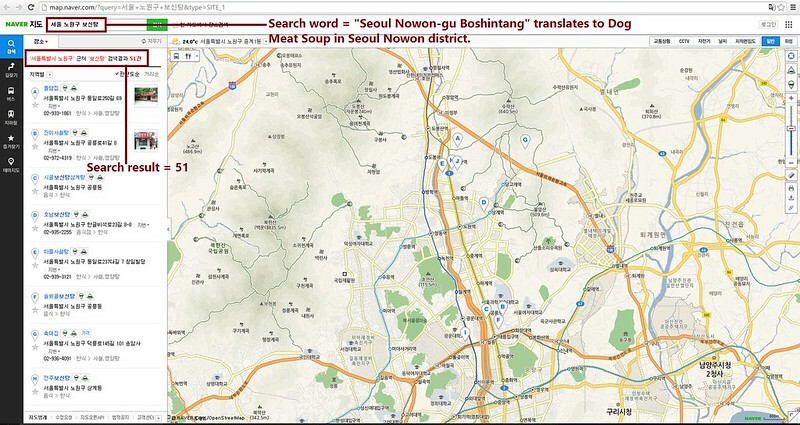 Seoul Nowon District is one of the largest dog meat consumption areas in South Korea. The Korean internet searches resulted in: 122 Health Food Centers which commonly sell dog/cat elixirs (also known as dog soju and cat soju); and 51 dog meat soup restaurants in and around the city of Seoul Nowon District alone.